Basically, Kindle Unlimited is a program where for just $9.99 per month, you can read as much as you want from over 1 million Kindle books as well as listen to a little over 100,000 Audible audiobooks – as many or as few titles as you want for the $9.99 per month fee; for those books on the blog that say “Yes” in red as being part of the program, if you are a Kindle Unlimited member you can read that book for free. As I type up this post a little more than 50% of all Kindle titles are in the program. 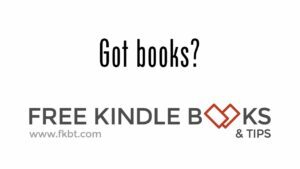 Can you read the Kindle Unlimited books on Kindle for PC as well? I didn’t see it mentioned one way or the other on the “Learn more” page or the terms and conditions page either. Could you possibly try and let us know if it works?